New construction single-family home from BAK Home Development. Perfect for entertaining and everyday living. 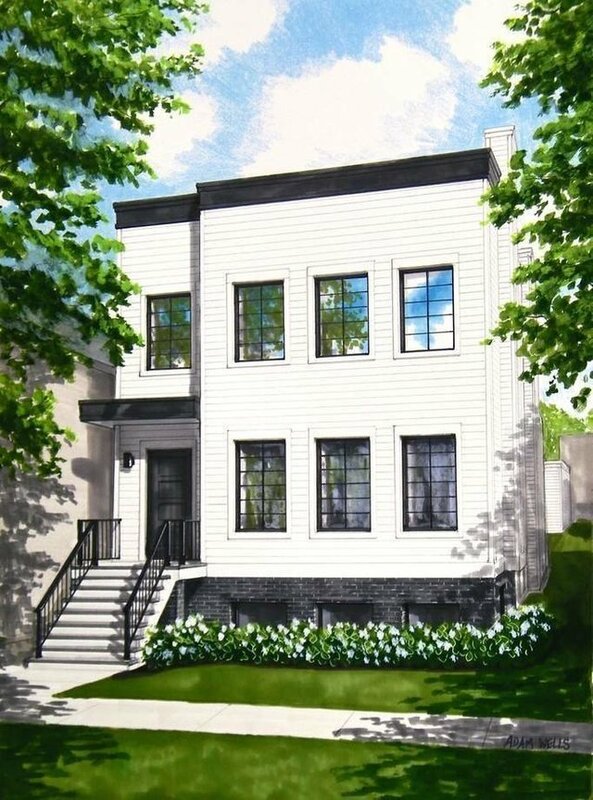 36-foot-wide lot offers an exceptional, light-filled open first floor with generous ceiling heights, expansive living/dining, breakfast room, sunken family room with wood-burning fireplace, and proper mudroom. Chef's kitchen features Sub-Zero/Wolf/Miele, quartz waterfall countertops, 9-foot island, and walk-in pantry.Second floor offers four bedrooms, four baths and laundry. Luxurious master suite incl. Sitting room, oversized walk-in closet, and spa-like bath with Italian floating vanity, heated floor, dual steam shower with bench, led mirrors, V&A soaking tub and water closet.Radiant-heated lower level offers tiled rec room with wet bar and surround sound, powder room, two large bedrooms, bath with steam shower, and flex laundry/wine cellar.36x19 rear yard plus garage rooftop deck. Three-car garage. Audubon school.Expected delivery - May 2019. Still time to customize. Photos are of prior projects.